The tinny speakers embedded in your computer’s monitor just don’t cut it. A good home speaker system adds punch to your audio, providing immersive, full-bodied sound in movies, music, games, and more. 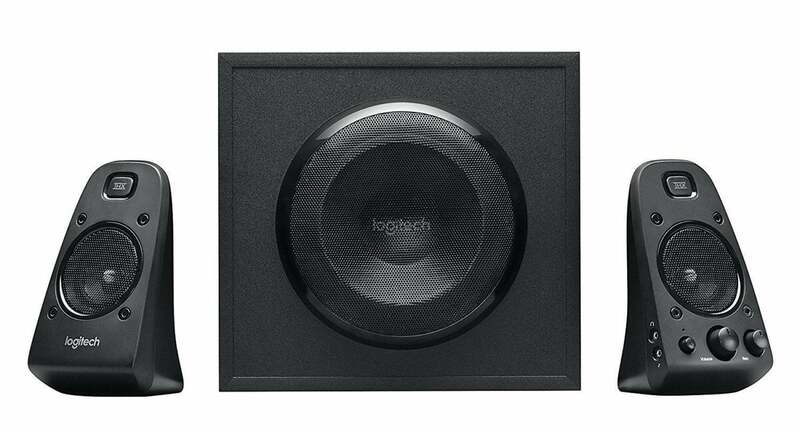 And today, the powerful Logitech Z623 2.1-channel home speaker system is $80, down from a list price of $150 and a standard selling price north of $100. This is the lowest price these ultra-popular speakers have ever been. The Logitech Z623’s dual speakers are built to fill any space with THX-certified audio, and the subwoofer amps up the bass even more. On-speaker controls let you adjust the volume and bass to your liking, while a headphone jack gives you the option to take your listening private. Note that this particular model only accepts analog RCA and 3.5mm audio connections, however—optical inputs aren’t supported. You can find optical-to-analog audio adapters for cheap if need be, though. We haven’t tried this speaker system ourselves, but it’s a winner on Amazon, averaging 4.5 stars out of 5 across over more than 4,400 reviews. Users specifically pointed to the high sound quality and the powerful, loud volume as reasons to buy. If you want to explore more options, be sure to check out our roundup of the best budget computer speakers.